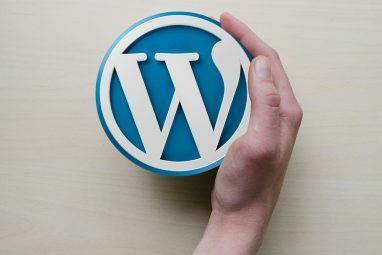 There are countless resources for finding free WordPress themes, from WordPress’ very own repository, to professional designers who release themes for download on their sites. A handful of these designers have been generous enough to contribute their time and talent to bring us new, free, premium-like WordPress themes, alongside their paid themes. The following list features some of the best WordPress designers, with free portfolio, magazine and minimalist themes, amongst many others, available for download. Woo Themes have some of the best premium themes out there, and every now and then they generously release a theme for free. One of their best free themes of all times is Irresistible, which is perfect for those of you looking for a life-streaming WordPress theme. Their other free themes include magazine themes, and straightforward minimalist blogs. Graph Paper Press has a small collection of free WordPress themes, which are the perfect choice for those of you looking for a stunning portfolio theme. They do, however, require that you sign up to download their themes, which is really no price at all to pay for the freemium themes you’ll get in return. Press 75 releases one new, free WordPress themes theme every now and then. With Press 75, you should get it while you can, because they don’t keep their free themes up indefinitely. At the moment, you can snag the theme, theSevenFive, a minimalist lifestream theme with native support for Twitter, Flickr, Last.fm, Delicious, and many more services that you can filter straight into your blog. FrogsThemes showcases some of the best in portfolio WordPress themes, and they always have a couple of free themes on display. At the moment, the popular SimpleFolio and FolioGrid are available for download. Templatic has an impressive collection of free themes on offer on their site. They are behind the Twitter inspired LiveTwit, and the private team collaboration blog, GTD. Moon Themes only has one theme available, but it comes with two different home page layouts, and ten different colour schemes. Eye Gaze is a great magazine theme that can be adapted to suit your personal needs. Theme Junkie provide premium themes, and have thrown in a couple for free. Both free themes, Channel and Fashion Press are the perfect magazine themes with inbuilt ad management, stat management and Feedburner support. ThemeShift have several themes on offer, and their free theme, deStyle is a clean, magazine style theme includes a Twitter/Flickr badge and ad management. Shaken & Stirred released their first free theme, Shaken Grid, a great portfolio theme for designers, photographers and artists to showcase their work. The theme comes in two colour schemes – white and black. Padd Solutions have a stunning collection of freemium WordPress themes available for downloading, with sliding featured posts, automatically generated thumbnails, and ad management amongst just some of the features included. And if you don’t want to miss out on their newest themes, sign up for their newsletter to get them delivered straight to your inbox. Smashing Magazine is a great resource for all things WordPress related, with the occasional free theme featured, such as Agregado, Paper Wall and Gallery. They also put together an annual mammoth list of free themes, and the 2010 list is already out. If none of these themes are exactly what you are looking for, you can always look for the ideal theme using the WordPress theme search engine, SeekWP. Where do you get your free premium-like WordPress themes? Let us know in the comments. wow, this is a great great post. well researched and unique. i think you would have spent a lot of time to put togehter something like this. thank you very much. I'm so happy I found this article. Bookmarked. +1 for Templatic. Not only the themes are good. They have the easiest customization options for non-programmers. Great collection - I wasn't aware of about half of these sites! For years I've downloaded free WP and other themes/templates from ThemesBase : http://www.themesbase.com/ . They have a HUGE collection of free WP themes, though some are a little dated and I'd stick to the newer ones for compatibility. They also have a large collection of free Joomla templates. Keep up the good work - I love collections of WP goodies! 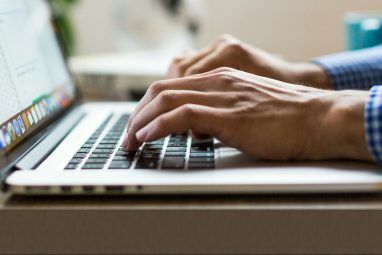 This is a great list and I wasn't aware of many of these sites ... for years I've downloaded free WP (and other) themes/templates from http://www.themesbase.com/ - they have a HUGE selection of free WP themes, though some of them are a little dated - so look for the newer ones. Also lots of free Joomla templates here. Keep up the good work - I love collections of current WP goodies! Its so hard to get good Free Themes! Will be checking these out! Thanks! Man, now I am going to end up changing my blog template again! LOL. these are great thems, thanks for sharing, it's worth bookmarking to use later. Thank you for including Padd Solutions in your list. We will continue to release more freemium themes to the awesome WordPress community. Thank you! Looking forward to seeing more of your great themes. This was really helpful. I'll agree with aenon1mus...been using Bueno by WooThemes...and was looking to see if anything matched their customization ability. Nothing yet does, but I've only just scratched the surface of your resources here! Thanks much, and keep this thread alive!! Oh man, I've been through so many of these sites. And I've even used 2 of the themes seen above on [Broken Link Removed] . It really depends on what you need. Free themes are good but premium themes are in a whole new league. With that said, Bueno by WooThemes wasn't bad. I can relate to that sentiment that's coming through - going through site after site, looking at theme after theme to find the right one. I agree - premium is always better - but I do think these sites are a good place to start if you're trying to get something off the ground. Stop being so sentimental! Jeez!!!! Hey, that was an an attempt at wise-crackery. I guess it doesn't translate well in text. Comes bang on time. I am searching for a cool portfolio themes. Ultimately, the choice of theme will boil down to how much of customization they allow. Funnily enough, free professional portfolio themes seem to be the easiest to find. Graph Paper Press probably have the widest selection.